Only 1.8 percent of American symphony orchestra members are African-American or of African descent, according to the League of American Orchestras. And that number doesn't seem to be increasing significantly anytime soon. The prospect of young students of African descent not only getting into the field of classical music but succeeding in it, says Paul Burgett, board chairman of Gateways Music Festival, is almost infeasible, as financial cuts to school arts and music programs continue across the nation. In collaboration with the Eastman School of Music, the 2017 Gateways Music Festival will focus on gathering classical musicians of African descent to encourage the next generation of players. The festival is free to the public, and runs from Tuesday, August 8, through Sunday, August 13. 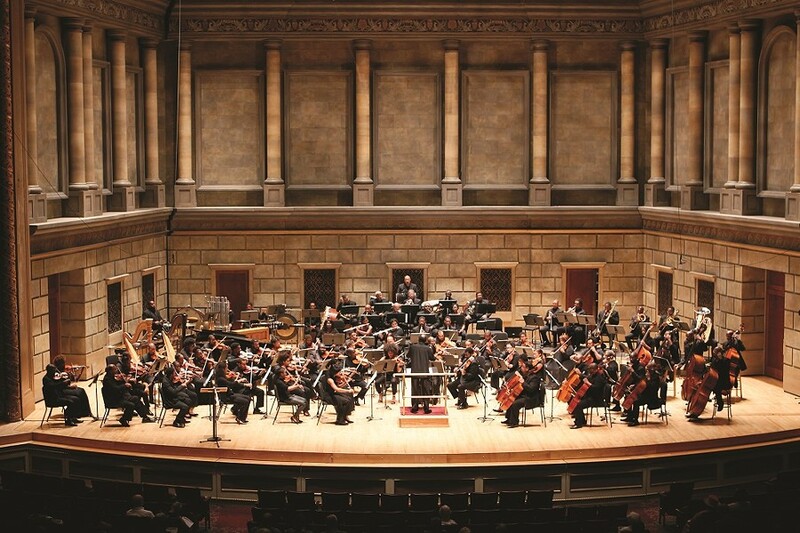 The six-day festival will celebrate the participation and contributions of classical musicians of African heritage by hosting more than 120 musicians to play in around 50 solo, chamber, and orchestra performances at Kodak Hall at Eastman Theatre, Rochester City Hall, Rochester Public Library, and other venues across the city. Gateways Music Festival has been held in Rochester biennially since the festival was moved here in 1995. Juilliard-trained pianist and former Eastman faculty member Armenta Hummings Dumisani started the festival in 1993 in North Carolina. Gateways aims to help increase and sustain diversity within the field of classical music; increase the visibility of classical musicians of African descent; give these national and regional musicians the opportunity to meet and exchange ideas with each other; and encourage young musicians of all ethnicities to pursue classical music. Burgett, who is also the vice president, senior advisor to the president, and university dean at the University of Rochester, says music education in public schools, particularly in metropolitan areas like Rochester, is diminishing or being completely eliminated. Without music education, the chances of African-American students being exposed to classical music decreases. A professional string player, Burgett says as an example, would need to begin playing by 3 or 4 years old if they wanted to succeed. "You need very good instruments and very good instruction in schools," Burgett says. If resources aren't available, the prospect of increasing the numbers of musicians of African descent "is a seemingly unachievable goal. So we're attempting to address that," he says. Lee Koonce, Gateways president and artistic director, says this festival gives musicians of African descent a chance to meet each other, which they rarely get to do. "Most of where these musicians live and work, they are frequently the only ones of African descent or one of very few," Koonce says. "The experience of coming together with others who have a shared life experience and have the same level of commitment and love of the music is really transformative." Koonce says that in the time he has worked with Gateways, he's already seen the impact the festival has. He had been a volunteer of the organization since 1997, but he's been actively involved since 2009, when he remembers hosting only about 70 musicians. Now in 2017, the festival is hosting about 125 musicians, but had to turn away another 200. Bringing together such a small community of people from a similar ethnic background is what makes this festival important, Koonce says. Representation, encouragement, and support are what can help grow and sustain a population of successful musicians. "The festival reaffirms them as classical musicians, empowers them, and provides a nurturing and safe environment to create great music," Koonce said. Works by composers of African descent will be among the music performed, including by Adolphus Hailstork, a Rochester native, and New York City's Jessie Montgomery as well as 18th century Parisian Joseph Bologne, Chevalier de St. Georges. The festival includes more than musical performances, however. On opening night, some of the festival musicians will host a panel discussion at Eastman's Killbourn Hall, and on Saturday, August 12, Burgett will present a pre-concert conversation. For more information about musicians, the history of the festival, a schedule of events, and more, call 232-6106 or visit gatewaysmusicfestival.org.